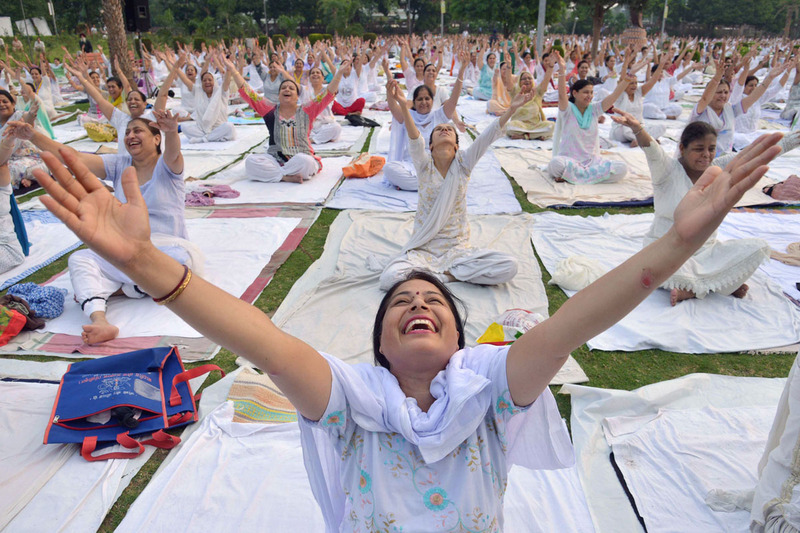 Yoga is a science of health and spirituality that originated thousands of years ago in India. The ancient yogis sought to harmonize the body, mind, and soul in an effort to achieve health, long life, and ultimately enlightenment. Thus, the Sanskrit word yoga means oneness or to join with. This union with the divine is achieved through the disciplined practice of specific exercises, meditation, and breath works. Yoga is essentially a lifestyle, dealing with all aspects of our being. Physical postures, or asanas that are widely perceived as yoga, are only one aspect of a very profound science of life. The Eight Limbs of yoga, articulated by C.E. Patanjali in the Yoga Sutra, describe a yogic lifestyle consisting of eight aspects. These aspects guide the yogi on a self-development path to harmonize the body, mind, and spirit and attain enlightenment. The first member, yama, focuses on one’s behavior in the world and attitude towards those around him/her. The five yamas are: ahimsa or non-violence, satya or truthfulness, asteya or non-stealing, bramacharya or non-lust, aparigraha or non-possessiveness. The second limb, niyama, refers to one’s behavior and his attitude towards oneself. There are five niyamas: sauca or cleanliness, santosha or contentment, tapas or austerity, svadhyaya or study of the sacred text and of oneself, and isvarapranidhama or living with a consciousness of the divine. The asanas or the physical poses are the third limb. The Asanas are designed to bring strength, vitality and relaxation to all body systems. Pranayama, or breathing exercises, encompass the fourth limb. Through a disciplinary regulation of the breath – duration of inhalation, retention and exhalation, one’s strength and cleanses the nervous system. The result is an increased life force and a calmer mind. The fifth member is prathayara or withdrawal of the senses. The accent is put inward, losing consciousness of what is happening outside oneself. Dharana, or concentration is the sixth limb. One trains the mind to concentrate without distractions. Dhyana, or meditation is the seventh limb. In meditation, one practices the constant observation of the mind, extinguishing the mind in order to strengthen its consciousness and oneness with the universe. The final member, the ultimate goal of yoga, is samadhi or enlightenment. It is the achievement of oneness with the universe in which one knows the state of peace, utter contentment and completion. Yoga as it was conceived and practiced by the ancient yogis encompasses all these aspects of self and life. It is a spiritual path and way of lifestyle to lead the student towards health, self-knowledge, and union with the divine.